Giorgio Armani is THE brand of eyeglasses. Back in 80’s Giorgio Armani made a revolution in accessory business taking the Armani brand to the best selling eyeglasses brand in the world. If you live in Canada or USA, you definitely know someone who owns Giorgio Armani glasses or sunglasses. Buy Giorgio Armani AR6075 sunglasses online at a friendly price. Originally made in 2018, Armani 6075 are lightweight metal frames. Each pair of authentic Giorgio Armani sunglasses ships worldwide with authenticity certificate, Giorgio Armani box, case and a cleaning cloth. Buy Giorgio Armani AR8112 sunglasses online at a friendly price. Originally made in 2018, Armani 8112 are lightweight plastic frames. Each pair of authentic Giorgio Armani sunglasses ships worldwide with authenticity certificate, Giorgio Armani box, case and a cleaning cloth. Buy Giorgio Armani AR8117 sunglasses online at a friendly price. Originally made in 2018, Armani 8117 are lightweight plastic frames. Each pair of authentic Giorgio Armani sunglasses ships worldwide with authenticity certificate, Giorgio Armani box, case and a cleaning cloth. Buy Giorgio Armani AR8116F sunglasses online at a friendly price. Originally made in 2018, Armani 8116F are lightweight plastic frames. Each pair of authentic Giorgio Armani sunglasses ships worldwide with authenticity certificate, Giorgio Armani box, case and a cleaning cloth. Buy Giorgio Armani AR8116 sunglasses online at a friendly price. Originally made in 2018, Armani 8116 are lightweight plastic frames. Each pair of authentic Giorgio Armani sunglasses ships worldwide with authenticity certificate, Giorgio Armani box, case and a cleaning cloth. Buy Giorgio Armani AR8115F sunglasses online at a friendly price. Originally made in 2018, Armani 8115F are lightweight plastic frames. Each pair of authentic Giorgio Armani sunglasses ships worldwide with authenticity certificate, Giorgio Armani box, case and a cleaning cloth. Buy Giorgio Armani AR8115 sunglasses online at a friendly price. Originally made in 2018, Armani 8115 are lightweight plastic frames. Each pair of authentic Giorgio Armani sunglasses ships worldwide with authenticity certificate, Giorgio Armani box, case and a cleaning cloth. Buy Giorgio Armani AR8114 sunglasses online at a friendly price. Originally made in 2018, Armani 8114 are lightweight plastic frames. Each pair of authentic Giorgio Armani sunglasses ships worldwide with authenticity certificate, Giorgio Armani box, case and a cleaning cloth. Buy Giorgio Armani AR6082 sunglasses online at a friendly price. Originally made in 2018, Armani 6082 are lightweight metal frames. Each pair of authentic Giorgio Armani sunglasses ships worldwide with authenticity certificate, Giorgio Armani box, case and a cleaning cloth. Buy Giorgio Armani AR6081 sunglasses online at a friendly price. Originally made in 2018, Armani 6081 are lightweight metal frames. Each pair of authentic Giorgio Armani sunglasses ships worldwide with authenticity certificate, Giorgio Armani box, case and a cleaning cloth. Buy Giorgio Armani AR6080 sunglasses online at a friendly price. Originally made in 2018, Armani 6080 are lightweight metal frames. Each pair of authentic Giorgio Armani sunglasses ships worldwide with authenticity certificate, Giorgio Armani box, case and a cleaning cloth. Buy Giorgio Armani AR6079 sunglasses online at a friendly price. Originally made in 2018, Armani 6079 are lightweight metal frames. Each pair of authentic Giorgio Armani sunglasses ships worldwide with authenticity certificate, Giorgio Armani box, case and a cleaning cloth. Buy Giorgio Armani AR6078 sunglasses online at a friendly price. Originally made in 2018, Armani 6078 are lightweight plastic frames. Each pair of authentic Giorgio Armani sunglasses ships worldwide with authenticity certificate, Giorgio Armani box, case and a cleaning cloth. Buy Giorgio Armani AR6077 sunglasses online at a friendly price. Originally made in 2018, Armani 6077 are lightweight plastic frames. Each pair of authentic Giorgio Armani sunglasses ships worldwide with authenticity certificate, Giorgio Armani box, case and a cleaning cloth. Buy Giorgio Armani AR8113F sunglasses online at a friendly price. Originally made in 2018, Armani 8113F are lightweight plastic frames. Each pair of authentic Giorgio Armani sunglasses ships worldwide with authenticity certificate, Giorgio Armani box, case and a cleaning cloth. Buy Giorgio Armani AR8113 sunglasses online at a friendly price. Originally made in 2018, Armani 8113 are lightweight plastic frames. Each pair of authentic Giorgio Armani sunglasses ships worldwide with authenticity certificate, Giorgio Armani box, case and a cleaning cloth. Buy Giorgio Armani AR8111F sunglasses online at a friendly price. Originally made in 2018, Armani 8111F are lightweight plastic frames. Each pair of authentic Giorgio Armani sunglasses ships worldwide with authenticity certificate, Giorgio Armani box, case and a cleaning cloth. Buy Giorgio Armani AR8111 sunglasses online at a friendly price. Originally made in 2018, Armani 8111 are lightweight plastic frames. Each pair of authentic Giorgio Armani sunglasses ships worldwide with authenticity certificate, Giorgio Armani box, case and a cleaning cloth. Buy Giorgio Armani AR8110 sunglasses online at a friendly price. Originally made in 2018, Armani 8110 are lightweight plastic frames. Each pair of authentic Giorgio Armani sunglasses ships worldwide with authenticity certificate, Giorgio Armani box, case and a cleaning cloth. Buy Giorgio Armani AR8109 sunglasses online at a friendly price. 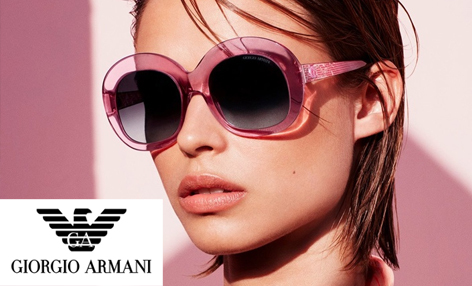 Originally made in 2018, Armani 8109 are lightweight plastic frames. Each pair of authentic Giorgio Armani sunglasses ships worldwide with authenticity certificate, Giorgio Armani box, case and a cleaning cloth. Buy Giorgio Armani AR6076 sunglasses online at a friendly price. Originally made in 2018, Armani 6076 are lightweight metal frames. Each pair of authentic Giorgio Armani sunglasses ships worldwide with authenticity certificate, Giorgio Armani box, case and a cleaning cloth. Buy Giorgio Armani AR8108F sunglasses online at a friendly price. Originally made in 2018, Armani 8108F are lightweight plastic frames. Each pair of authentic Giorgio Armani sunglasses ships worldwide with authenticity certificate, Giorgio Armani box, case and a cleaning cloth. Buy Giorgio Armani AR8108 sunglasses online at a friendly price. Originally made in 2018, Armani 8108 are lightweight plastic frames. Each pair of authentic Giorgio Armani sunglasses ships worldwide with authenticity certificate, Giorgio Armani box, case and a cleaning cloth. Buy Giorgio Armani AR8107F sunglasses online at a friendly price. Originally made in 2018, Armani 8107f are lightweight plastic frames. Each pair of authentic Giorgio Armani sunglasses ships worldwide with authenticity certificate, Giorgio Armani box, case and a cleaning cloth. Buy Giorgio Armani AR8107 sunglasses online at a friendly price. Originally made in 2018, Armani 8107 are lightweight plastic frames. Each pair of authentic Giorgio Armani sunglasses ships worldwide with authenticity certificate, Giorgio Armani box, case and a cleaning cloth. Buy Giorgio Armani AR8106 sunglasses online at a friendly price. Originally made in 2018, Armani 8106 are lightweight plastic frames. Each pair of authentic Giorgio Armani sunglasses ships worldwide with authenticity certificate, Giorgio Armani box, case and a cleaning cloth. Buy Giorgio Armani AR6073 sunglasses online at a friendly price. Originally made in 2018, Armani 6073 are lightweight metal frames. Each pair of authentic Giorgio Armani sunglasses ships worldwide with authenticity certificate, Giorgio Armani box, case and a cleaning cloth. Buy Giorgio Armani AR6072 sunglasses online at a friendly price. Originally made in 2018, Armani 6072 are lightweight metal frames. Each pair of authentic Giorgio Armani sunglasses ships worldwide with authenticity certificate, Giorgio Armani box, case and a cleaning cloth. Buy Giorgio Armani AR6071 sunglasses online at a friendly price. Originally made in 2018, Armani 6071 are lightweight metal frames. Each pair of authentic Giorgio Armani sunglasses ships worldwide with authenticity certificate, Giorgio Armani box, case and a cleaning cloth. Buy Giorgio Armani AR6070 sunglasses online at a friendly price. Originally made in 2018, Armani 6070 are lightweight metal frames. Each pair of authentic Giorgio Armani sunglasses ships worldwide with authenticity certificate, Giorgio Armani box, case and a cleaning cloth. Buy Giorgio Armani AR8105F sunglasses online at a friendly price. Originally made in 2018, Armani 8105F are lightweight plastic frames. Each pair of authentic Giorgio Armani sunglasses ships worldwide with authenticity certificate, Giorgio Armani box, case and a cleaning cloth. Buy Giorgio Armani AR8105 sunglasses online at a friendly price. Originally made in 2018, Armani 8105 are lightweight plastic frames. Each pair of authentic Giorgio Armani sunglasses ships worldwide with authenticity certificate, Giorgio Armani box, case and a cleaning cloth. Buy Giorgio Armani AR8104F sunglasses online at a friendly price. Originally made in 2018, Armani 8104F are lightweight plastic frames. Each pair of authentic Giorgio Armani sunglasses ships worldwide with authenticity certificate, Giorgio Armani box, case and a cleaning cloth. Buy Giorgio Armani AR8104 sunglasses online at a friendly price. Originally made in 2018, Armani 8104 are lightweight plastic frames. Each pair of authentic Giorgio Armani sunglasses ships worldwide with authenticity certificate, Giorgio Armani box, case and a cleaning cloth. Buy Giorgio Armani AR6069 sunglasses online at a friendly price. Originally made in 2018, Armani 6069 are lightweight metal frames. Each pair of authentic Giorgio Armani sunglasses ships worldwide with authenticity certificate, Giorgio Armani box, case and a cleaning cloth. Buy Giorgio Armani AR6068 sunglasses online at a friendly price. Originally made in 2018, Armani 6068 are lightweight metal frames. Each pair of authentic Giorgio Armani sunglasses ships worldwide with authenticity certificate, Giorgio Armani box, case and a cleaning cloth. Buy Giorgio Armani AR6067 sunglasses online at a friendly price. Originally made in 2018, Armani 6067 are lightweight metal frames. Each pair of authentic Giorgio Armani sunglasses ships worldwide with authenticity certificate, Giorgio Armani box, case and a cleaning cloth. Buy Giorgio Armani AR6065 sunglasses online at a friendly price. Originally made in 2018, Armani 6065 are lightweight metal frames. Each pair of authentic Giorgio Armani sunglasses ships worldwide with authenticity certificate, Giorgio Armani box, case and a cleaning cloth. Buy Giorgio Armani AR6064Q sunglasses online at a friendly price. Originally made in 2018, Armani 6064Q are lightweight metal frames. Each pair of authentic Giorgio Armani sunglasses ships worldwide with authenticity certificate, Giorgio Armani box, case and a cleaning cloth. Buy Giorgio Armani AR6063 sunglasses online at a friendly price. Originally made in 2018, Armani 6063 are lightweight metal frames. Each pair of authentic Giorgio Armani sunglasses ships worldwide with authenticity certificate, Giorgio Armani box, case and a cleaning cloth. Buy Giorgio Armani AR6062 sunglasses online at a friendly price. Originally made in 2018, Armani 6062 are lightweight metal frames. Each pair of authentic Giorgio Armani sunglasses ships worldwide with authenticity certificate, Giorgio Armani box, case and a cleaning cloth. Buy Giorgio Armani AR8103 sunglasses online at a friendly price. Originally made in 2017, Armani 8103 are lightweight plastic frames. Each pair of authentic Giorgio Armani sunglasses ships worldwide with authenticity certificate, Giorgio Armani box, case and a cleaning cloth. Buy Giorgio Armani AR8099 sunglasses online at a friendly price. Originally made in 2017, Armani 8099 are lightweight plastic frames. Each pair of authentic Giorgio Armani sunglasses ships worldwide with authenticity certificate, Giorgio Armani box, case and a cleaning cloth. Buy Giorgio Armani AR8098F sunglasses online at a friendly price. Originally made in 2017, Armani 8098F are lightweight plastic frames. Each pair of authentic Giorgio Armani sunglasses ships worldwide with authenticity certificate, Giorgio Armani box, case and a cleaning cloth. Buy Giorgio Armani AR8098 sunglasses online at a friendly price. Originally made in 2017, Armani 8098 are lightweight plastic frames. Each pair of authentic Giorgio Armani sunglasses ships worldwide with authenticity certificate, Giorgio Armani box, case and a cleaning cloth. Buy Giorgio Armani AR8096 sunglasses online at a friendly price. Originally made in 2017, Armani 8096 are lightweight plastic frames. Each pair of authentic Giorgio Armani sunglasses ships worldwide with authenticity certificate, Giorgio Armani box, case and a cleaning cloth. Buy Giorgio Armani AR6061 sunglasses online at a friendly price. Originally made in 2017, Armani 6061 are lightweight metal frames. Each pair of authentic Giorgio Armani sunglasses ships worldwide with authenticity certificate, Giorgio Armani box, case and a cleaning cloth. Buy Giorgio Armani AR6060 sunglasses online at a friendly price. Originally made in 2017, Armani 6060 are lightweight metal frames. Each pair of authentic Giorgio Armani sunglasses ships worldwide with authenticity certificate, Giorgio Armani box, case and a cleaning cloth. Buy Giorgio Armani AR6058J sunglasses online at a friendly price. Originally made in 2017, Armani 6058J are lightweight metal frames. Each pair of authentic Giorgio Armani sunglasses ships worldwide with authenticity certificate, Giorgio Armani box, case and a cleaning cloth.